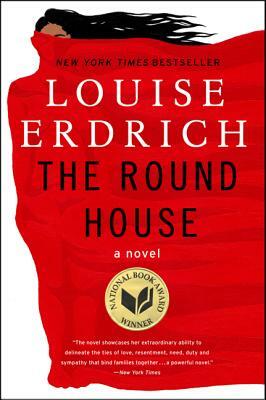 One of the most revered novelists of our time--a brilliant chronicler of Native-American life--Louise Erdrich returns to the territory of her bestselling, Pulitzer Prize finalist The Plague of Doves with The Round House, transporting readers to the Ojibwe reservation in North Dakota. It is an exquisitely told story of a boy on the cusp of manhood who seeks justice and understanding in the wake of a terrible crime that upends and forever transforms his family. Riveting and suspenseful, arguably the most accessible novel to date from the creator of Love Medicine, The Beet Queen, and The Bingo Palace, Erdrich's The Round House is a page-turning masterpiece of literary fiction--at once a powerful coming-of-age story, a mystery, and a tender, moving novel of family, history, and culture. National Book Award winner for 2012, and one of Amazon's three best books from 2012. Well deserved accolades for a great book. The setting is 1988 on a North Dakota Indian reservation. This is a coming of age novel that certainly pushes the boundaries of what that means at that time and in that place, when Joe's mother is brutally raped. Joe and his friends are 13 years old in that summer of 1988. The attack on his mother forever changes Joe's family and irreprebably damages his mother. The effect that all this has on a 13 year old boy is so well depicted in this story. Joe looks to his parents to help him through this traumatic event and since each are dealing with their own demons, Joe is left on his own to try to figure the whole adult world out, and because he's on his own, with no real helpful adult supervision, he turns to his friends for help and support. And they, as most 13 year olds would, make some poor judgements that will forever change their lives. This book moves on at a merciless pace to the somewhat inevitable ending when poor decisions catch up with these four children. This book is written so descriptively and so realistically that I really couldn't put it down. I knew it was going to end in a "train wreck" as Joe ineveitablly and mercilessly makes the decision that will forever change his life. Children suffer so much from the actions of adults! It is an awesome responsibility to raise a child and we as adults should never forget that.